How many People can fit in a Vehicle? I am writing this in Badami, where we have no Internet. So I will be accumulating several days of postings and doing them as one update, when we finally reach a hotel that has Internet. The ride from Hospet to Bandami was a full day journey. It wasn’t that it was that far, but rather, that there were so many places to stop. We first stopped at a farmer’s market. This was the weekly market for the people that live in this area. It was quite large, and very crowded. 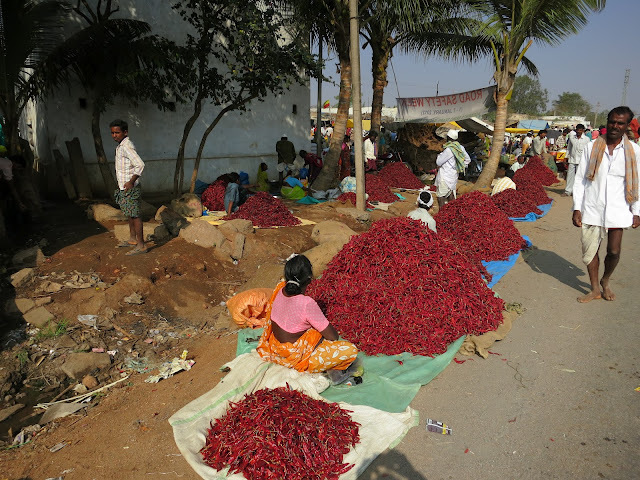 Spices are laid out on the ground, goats are carried to their final demise, textiles, chilies galore, vegetables of all types are being sold. Many of the women are dressed in their native tribal costumes and jewelry. This is NOT to please the tourists, because there aren’t any! This is just the way they dress. The folks are wonderful and kind, and don’t object at all to having their picture taken. We had a wonderful inversion of photography later in the day. Often when we take someone’s picture we then turn the camera around and show them their picture, they always smile at it and enjoy seeing their own image. Many times Indian tourists will come up to us and ask us to take a picture with them in it, or will take a picture of us. Today one time an Indian asked to take our picture and then showed us our image in his camera. It was a weird experience realizing we were the strange ones to these people. We drove to many different temple complexes, one more beautiful then next. Luckily for us, the temples were situated close to each other and didn’t require lots of walking. Yesterday really wore us out! 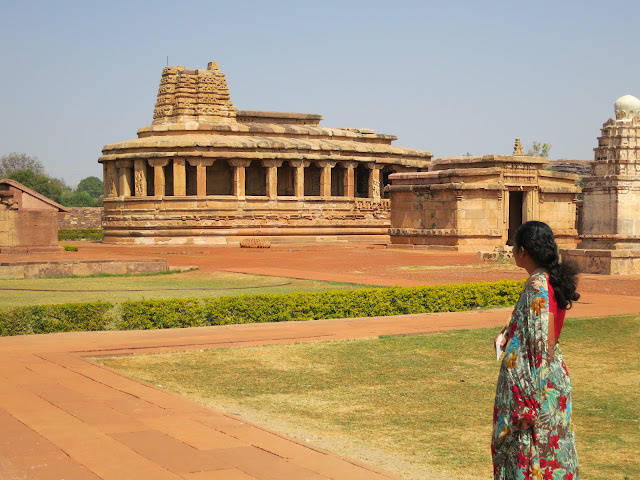 The first complex, Aihole, not pronounced phonetically, I might add, reminded us Angkor Watt. The buildings are all made of stone, and intricately carved. Lakuma, our wonderful guide, keeps explaining how you tell Vishnu and Shiva apart (except when they are joined as one being in the statues) and also how to tell their consorts (Laxshmi and Paravati. She then quizzes us repeatedly on the next carving. I have given up and I always answer Vishnu. I am occasionally correct. Courtney tries valiantly. 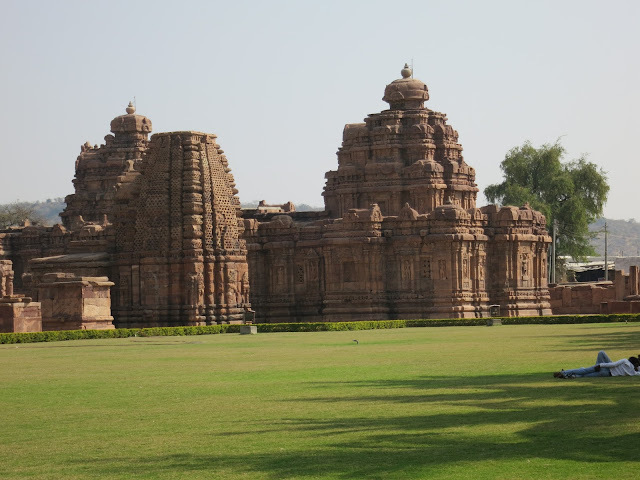 After Aihole we drove to Pattadakkal for to visit a beautiful set of temples, that reminded us of the temples we saw in Orissa, 2 years ago. These complexes contain dozens of temples and palaces each, built over hundreds of years. Some date back to the 5th century. Because they were built of massive stones, they have survived the years. Although much of the statuary has been lost, the structures still remain as they were 1500 years ago. These were the seats of mighty empires that once were extremely powerful and wealthy. This area is was part of the Spice Route and is very fertile. 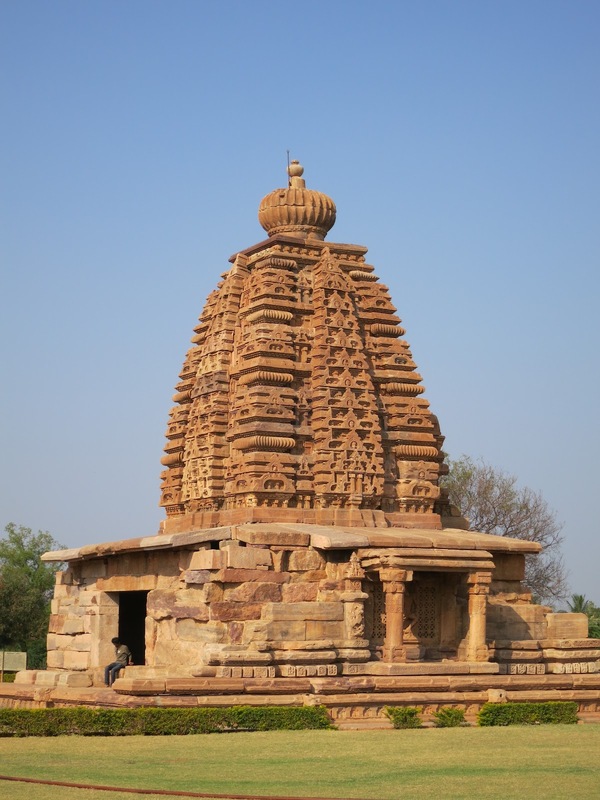 Most of the temples are no longer functioning, but remain as monuments to these ancient cultures. Most of the temples have base relief carvings that illustrate stories from the Mahabharata and the Ramayana, stories that every Indian knows no matter if they are Hindu, Jain or Muslim. These two long and very complicated epics tie the Indians together and create their shared identity. 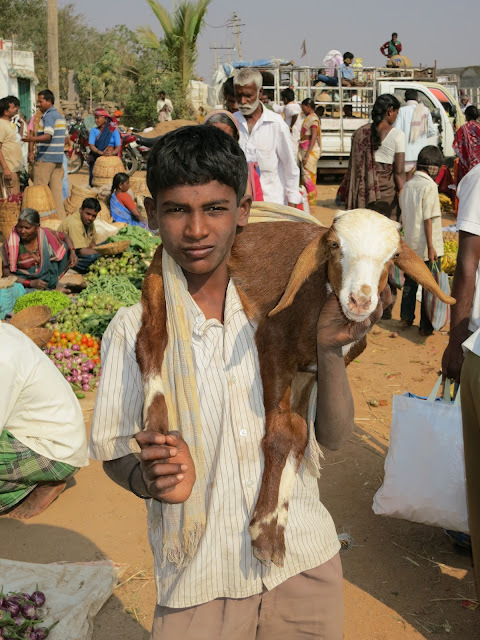 Our guide confirms that Hindus will go to a Mosque to pray on occasion as will Muslims come to a Hindu temple. It is caste and community that still divide one Indian from another. She feels only education, will eventually break the ties of caste. At one temple complex, there was a wedding ceremony, and we witnessed a fantastic display. The groom circumnavigated the temple, to a cacophony of music played by a ragtag band. 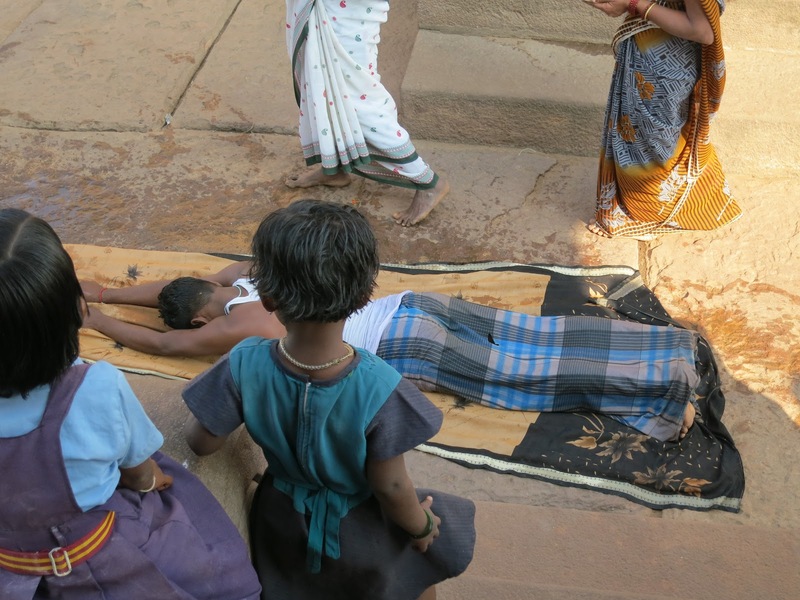 Saris were alternatively laid out and he would prostrate himself on the ground arms and legs outstretched. He would get up and a sari was again placed in front of him and he would prostrate himself again, then arise and repeat the process. The entire marriage procession would accompany him on his very slow journey. He circumnavigated the temple 7 times, prostrating himself hundreds of times. I wondered if he would be so exhausted and sore that he wouldn’t be able to perform his husbandly duties on his wedding night. 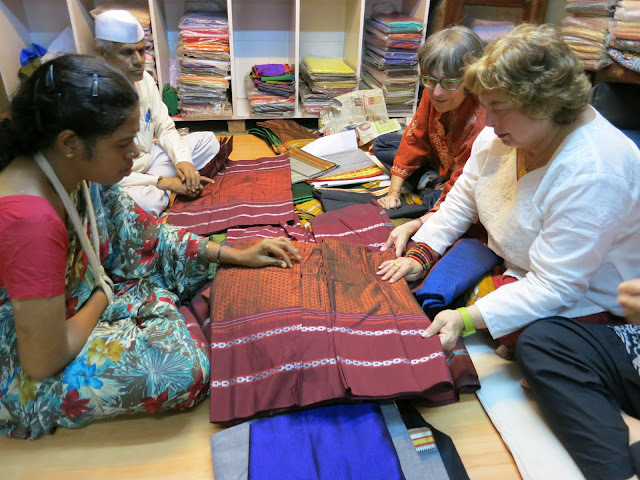 It was a fabulous to observe a local custom like this – so different from anything we would ever experience. We are staying at the best hotel in Badami. That doesn’t really mean very much. This is a very small town and the hotel is about a 2 star if that. They are very nice and helpful. It seems our room is missing almost everything you would want, and every time I ask for it, they appear quickly with it and I tip them. I think they empty the room of all necessities, and slowly refill it as you tip. So, they brought up a mosquito thing that plugs into a socket, (there was one tip), they brought up the missing refrigerator for our water and wine (another tip), they brought up pillows (tip again), they brought up towels (you get the idea). The electricity is very problematic in this city. The power at the hotel keeps going off every few hours for a few minutes, then either it comes back on or an alternative backup power kicks in. The air-conditioning is even more problematic. The villages we are visiting are remote, there is no way to reach them except by very long drives from the nearest airport. That means, there aren’t a lot of tourists! These temple and palace complexes are all World Heritage Sites. 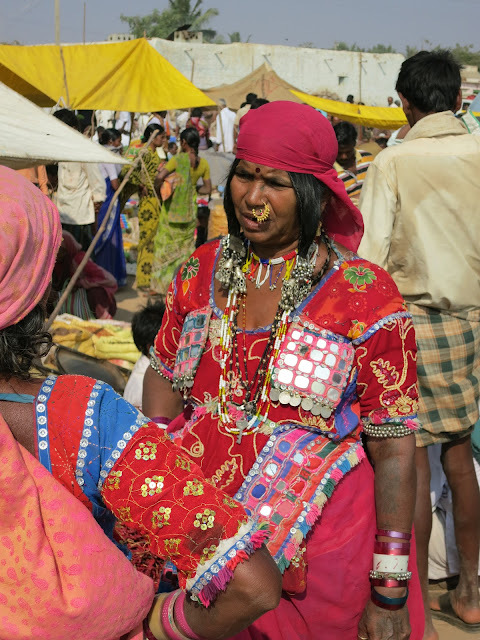 Indians are mostly visiting them, you see very few westerners. I know when the infrastructure is finally built they will be major western destinations. We are happy to visit them now, before the tourists hordes arrive. We decided to go to the night market for some shopping. What else is new? We took a tuk-tuk. Lakuma, signaled for a tuk-tuk to stop. There were men in it. 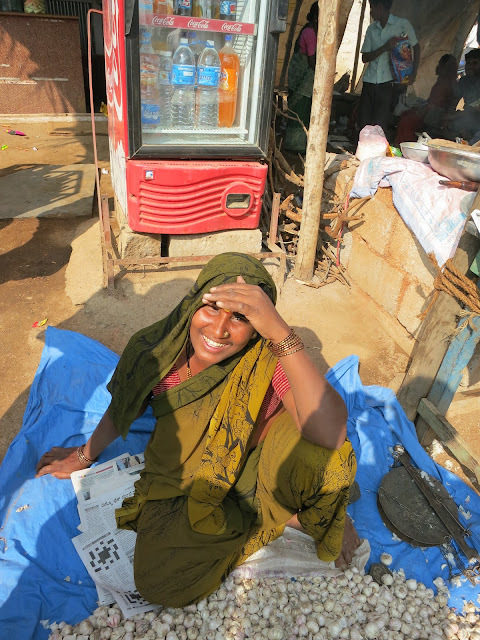 She started talking very strongly to them, and I thought for a moment she was simply telling them to get out of the tuk-tuk even though they hadn’t reached their destination, and we were taking it over. It wasn’t that at all. She was negotiating with them so that we could join them on the journey. I guess that is why I see so many overloaded tuk-tuks. 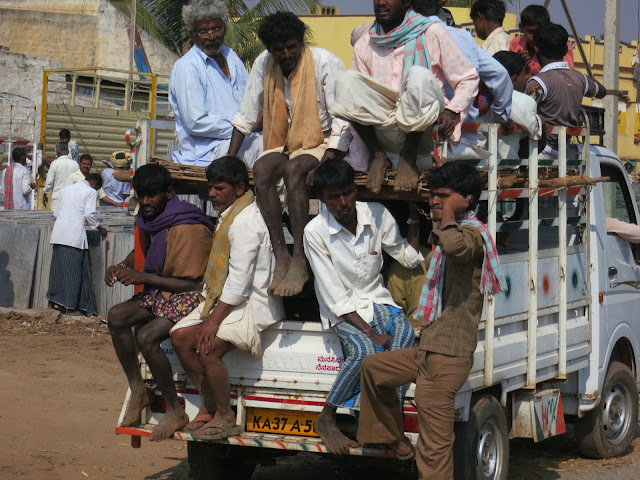 I climbed up on to the back with one of the men, sitting on boxes and everyone else piled into the cab. We all drove into the village together, the men departing first. There is a shared sense of community in the villages you would never experience in the states. Interesting at the hotel, in the late afternoon, Cathy and I were reading in the garden. There was a table full of very hipply stylish dressed Indians gathered around a PC. From their dress and demeanor I said to Cathy, “Bet they are making a movie”, she agreed. They could have been from Silverlake! Turns out that when we talked to them, we were right, they are two movies being made in this area and they are staying at the best hotel in Badami, wondering how they can get on the Internet. One of the movies is a Tamil movie, the other is Bollywood movie staring Ashkay Kumar. Small world. The other entertainment was the local monkeys that they swing from tree to tree effortlessly overhead. It is very strange to be sharing a backyard with a bunch of wild monkeys and film people. We saw Ashkay at breakfast. The hotel actually turned out to be quite nice, with an extremely pleasant staff.